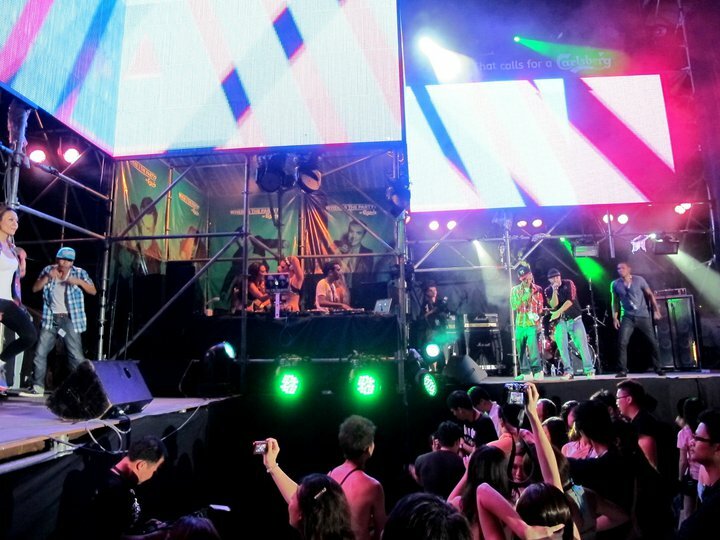 Following two successful installations of “Where’s The Party” in 2011, Carlsberg will be bringing us yet another epic party on November the 10th. “Where’s The Party?” is one of its kind because, true to its name, the location of the party will be kept secret until you arrive at the designated venue. The suspense of it all adds to the excitement, don’t you think? This event is specially designed for the Carlsberg consumers as a reward of continuing support, giving us the chance to participate in different challenges (fun ones, of course), creating inspiring moments and unforgettable experiences. Best thing of all is that 375 lucky winners will walk away with a pair of invites each. How? Find out how at the bottom of this post. By the way, rumour has it the party people from Singapore and Hong Kong will join us too, which actually widens the possibilities of where the party will be held. Instead of them coming to us, maybe we will be transported to them! It will be a 2day/1night trip too this time, makes you wonder huh? And just like last year, the Malaysia’s Hottest Bloggers will be there to party. I remember that Frank and I were meant to go, but someone fell sick and I had to play nurse/doctor. As a result we missed out on all the epic fun! The MHB girls at the Press Conference. 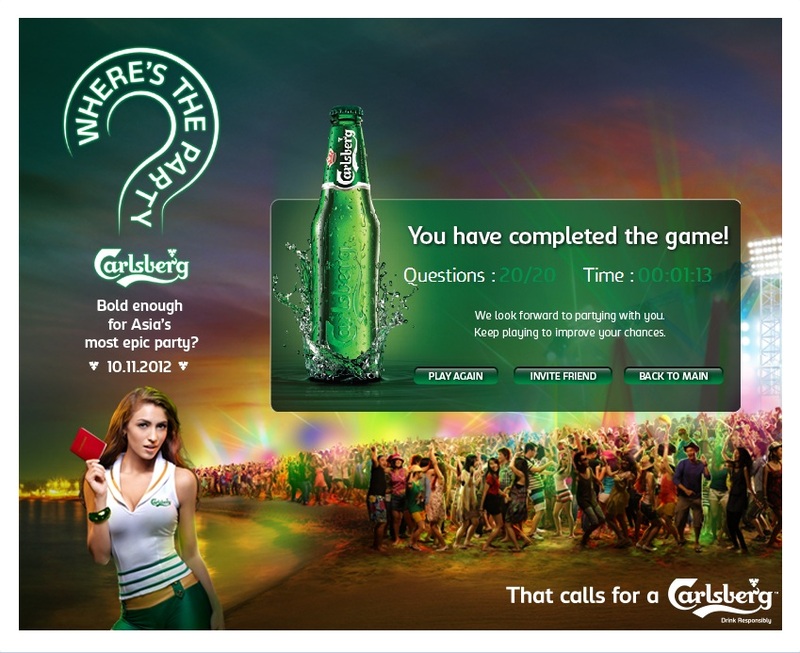 Apart from plenty of Ice-Cold Carlsberg you’ll get to play with, there will be a lot of fun activities planned too. 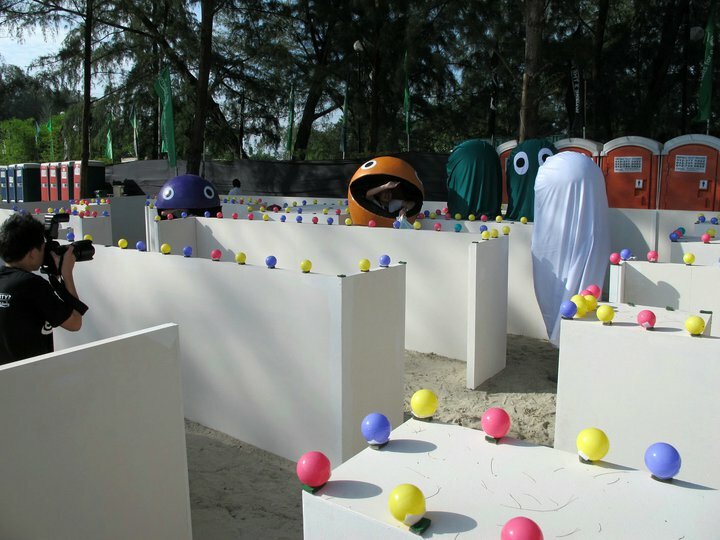 Just take a look at some of the fun games from last year’s 1st installation at Sepang Gold Coast. The Dunking Machine made an appearance! I think that’s Kate Lee in there. She got wet! This picture is rather cute and made me laughed a little… Real life Pac Man! Must be a lot of fun! 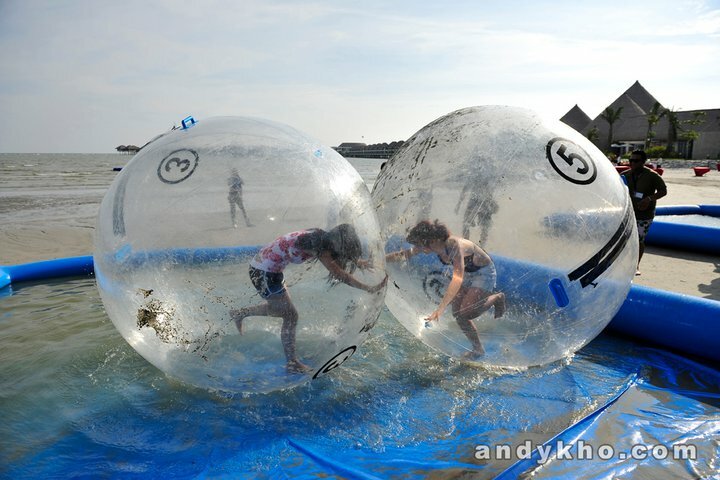 Zorbing – rolling around in an orb. Probably not recommended for those who are motion sensitive. But I wouldn’t mind having a go! Oh yeah, you can win some awesome prizes for participating in the games too, which is a bonus. 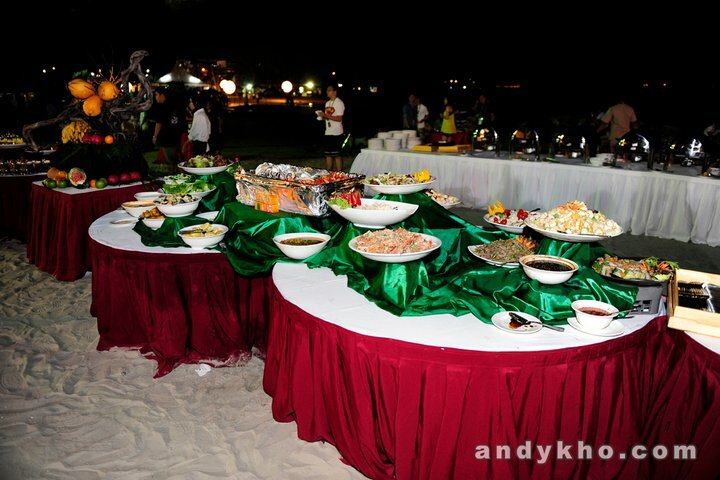 I heard that the food was great last year. Of course, it’s one of the most important factor apart from the liquid energy *ahem*. Without the fuel, how would we keep up with the energy right? It’s not a party without the music. Here you can count on the live performances as well as DJs to keep the vibe going. 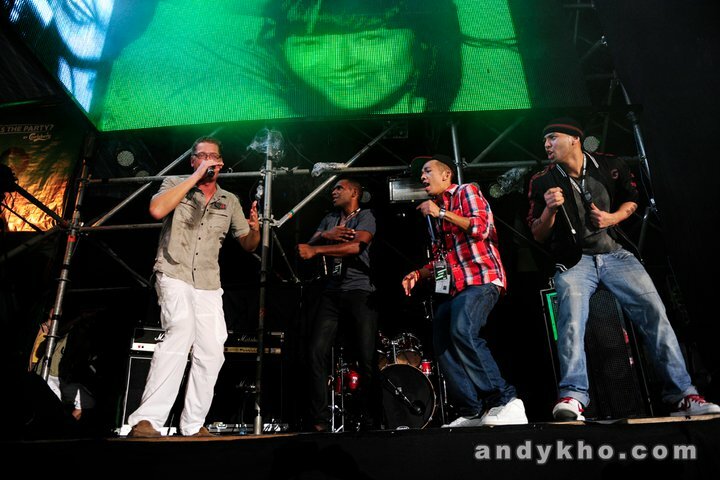 Spotted Soeren, the MD of Carlsberg who used to be in a rap band doing his thang on stage. Have you been sufficiently tempted? Don’t miss out on the party then. To win passes to this exclusive event, head over to https://www.facebook.com/Carlsberg/app_157568171034173. You need to get the most correct answers in the shortest time posssible. I suggest do it a few times to score perfect 20! There are still a few days to go as this contest will end on the 21st October. So hurry and do it right now! You and a friend could score the invites to the best party of the year. For photos of the event, or if you simply want to find out more about MHB, check out https://www.facebook.com/myhotbloggers! So…. will I see you at the party? It looks like it’s going to be the biggest thing until the next Carlsberg party. But we’ll deal with next year’s party next year. Ooooo…this looks like soooo much fun! Unfortunately, I guess I’m too old for this. Go, go and have fun!!! Cheers! Good stuff by Carlsberg looks like.